Let professionals go through the massive and complicated process of procuring a passport and a visa for you and just sit back. Located in Ahmadabad, Gujarat, Hindustan Tourism Service offers professional Passport and Visa Services for the globe. Let our experts procure forms for you, assist you in filling them, help out in the verification checks and perform all the necessary follow-ups. 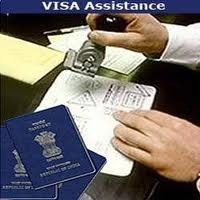 We also have provisions for arranging a passport and a visa on an urgent basis. Obtain our services at reasonable rates at any given time!